The American Revolution began on the 19th of April in 1775 when local militiamen in the towns of Lexington and Concord, Massachusetts, offered forcible resistance to a British attempt to seize colonial stores of arms and ammunition. By the end of that day, 49 Americans and 73 British soldiers had been killed, and a war had begun. When you first approach a new poem or look more carefully at an old and familiar poem, encourage your students to look at structure as well as meaning. If you count the syllables, you’ll find that “Concord Hymn” is indeed written in one of the standard hymn meters: “long meter” or “eights-and-eights.” Each line has exactly eight syllables, and the rhyme scheme follows a simple ABAB pattern, which makes the poem easy to recite and remember. 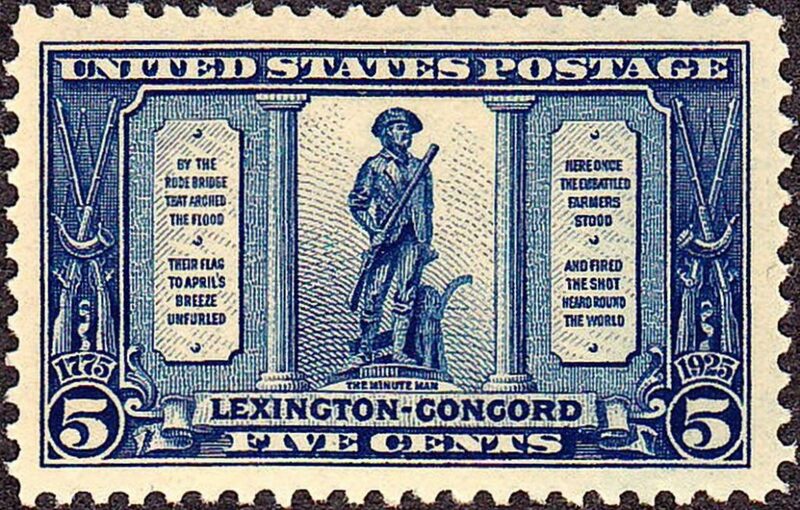 “Concord Hymn” on the Lexington-Concord Sesquicentennial commemorative, 1925. 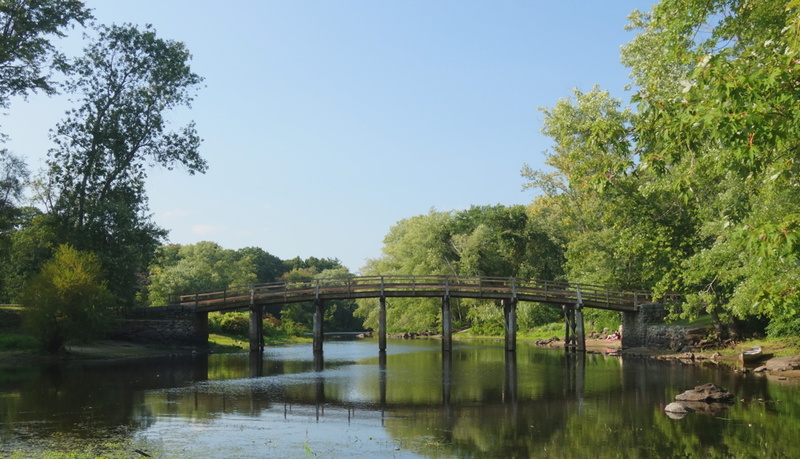 Emerson’s “Concord Hymn” is one of the most famous of all American history poems, and it has been studied in schools and beloved by Americans of all ages for generations. Be sure to make it part of your students’ store of literary knowledge. ❡ The shot heard round the world: If a special line or turn of phrase happens to strike you in one of our weekly poems, just copy it onto your homeschool bulletin board for a few days and invite your students to speak it aloud — that’s all it takes to begin a new poetical friendship and learn a few lovely words that will stay with you for life. ❡ Explore more: For a quick review of the beginning of the American Revolution, turn to page 289 in your River Houses history encyclopedia (riverhouses.org/books). ❡ Explore more: The Poetry Foundation’s website includes biographical notes and examples of the work of many important poets (including Ralph Waldo Emerson) that are suitable for high school students and homeschool teachers.